certified technicians work for you. In most cases, we can rebuild or repair practically anything on your vehicle. Give us a chance to diagnose and recommend options that are best for you! When the dealerships can only give you one option, ABR auto repair shop near Houston offers multiple viable solutions. We can fix and repair a large majority of parts, rather than replace them. From a simple light bulb all the way to rebuilding your engine or transmission, there is no job that we can’t handle. Let our experienced certified technicians work for you. Don’t let the dealership tell you that replacement is the only way; when a simple rebuild will save you time and money! 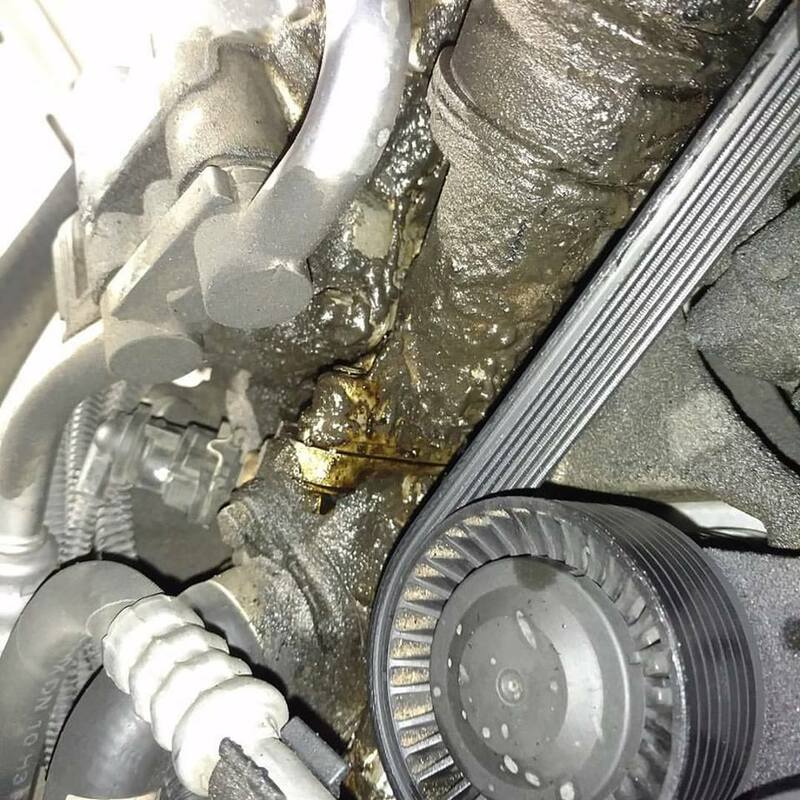 This oil leak is a simple fix when caught by our technicians, or can lead to engine failure if not fixed.